How’d you like to spend a little time with “one of the best singer-songwriters in bluegrass,” hearing the stories behind the songs and learning how to turn inspiration into an inspiring work of art? 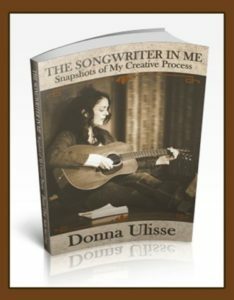 Simply immerse yourself in Donna Ulisse’s new book, The Songwriter in Me: Snapshots of My Creative Process (Hadley Music Group). Bluegrass music is all about the story, and Ulisse is a masterful storyteller. 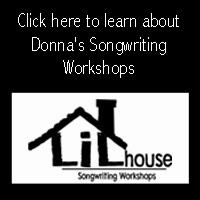 “Donna’s songs are in a league all their own; intelligently crafted , thoughtful, inspired and married to some truly interesting and memorable melodies,” says Dave Higgs, host of NPR’s “Bluegrass Breakdown” show on Nashville Public Radio. 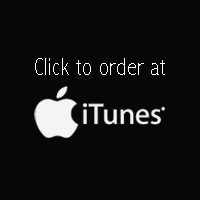 No wonder she was nominated as the International Bluegrass Music Association’s songwriter of the year in 2012 and 2013! The legendary Del McCoury Band recorded the Civil War tale “Butler Brothers,” which Ulisse wrote with Jerry Salley, on its 2014 Grammy-winning album, The Streets of Baltimore. Her songs also have been recorded by Claire Lynch, Larry Stephenson, Darin and Brooke Aldridge, The Bankesters, Nu-Blu, Natasha Borzilova, Diana Jones and Louise Mosrie. 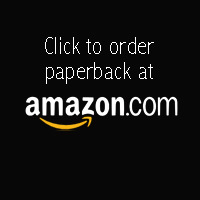 The Songwriter in Me unfolds like a visit with an old friend — down-home, easygoing, conversational — as Ulisse invites you in to “this beautiful place where I make music these days.” Peppered with personal anecdotes and generous with insights, this handy book stands as a tribute to the power of the imagination. You don’t have to be a songwriter to reap its benefits. 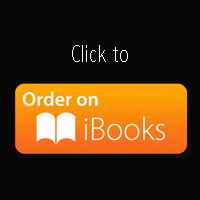 Ulisse’s suggestions can help you whether you are writing a song, a poem or a short story — or, for that matter, a speech, a sermon or marketing copy. As the title of one early chapter says, “Creativity Keeps You Young,” and Ulisse stands as living proof, showing no signs of slowing down her prolific output of new songs and recordings. Learn how to feed your imagination … nurture your creativity (and revive it when it seems dormant) … see the world through a child’s eyes … discover your own unique storytelling style … engage listeners’ imaginations … be honest in your writing … access your deep well of emotions … and do research to make your stories more believable. Spend a little time with Donna Ulisse and you’ll be enriched by the experience! 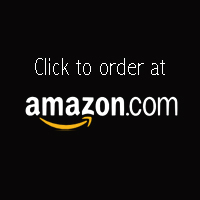 Buy the companion CD to the book! 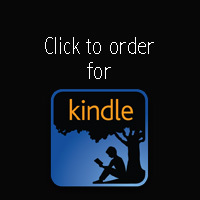 The CD The Songwriter in Me: The Demo Recordings has 24 tracks of all of the song lyrics in the book so you can listen and follow along. 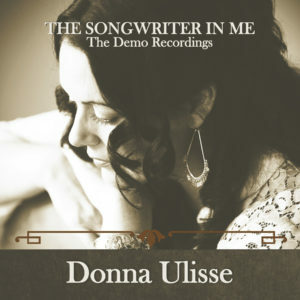 The songs are recorded in a more “stripped down” acoustic setting to show the reader how Donna presents her demos as a songwriter when pitching them to other acts to be recorded.